Produce a perfect BOM so you never get your design rejected again. Every successful design process starts with selecting components that will last throughout your product’s lifespan. 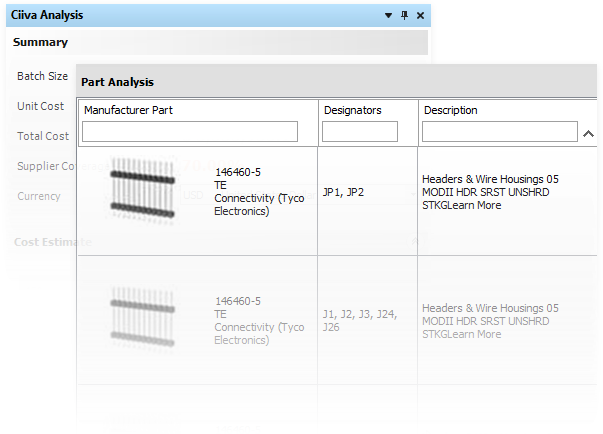 The Ciiva parts database puts all the information you need at your fingertips to make the most informed part selections. 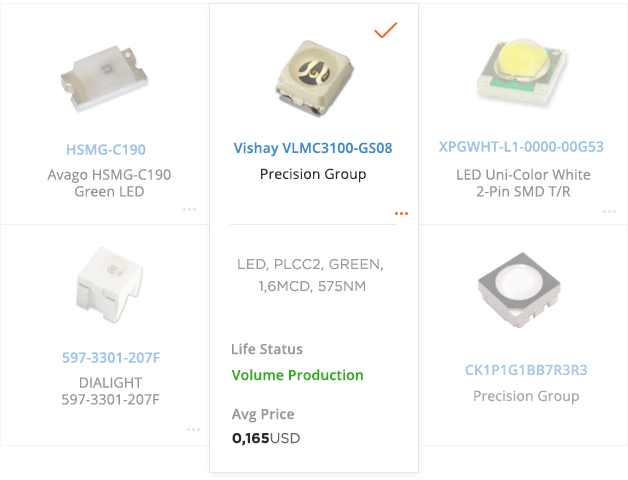 Accurately predict future part longevity with historical lifecycle data, get real-time pricing and availability from your trusted suppliers, and improve your supply chain with verified alternate components. Parts supplies change every day, and the last thing you want to deal with is a BOM filled with obsolete or end-of-life components. The CIIVA SMARTPARTS® Analysis allows you to produce a perfect BOM by analyzing every part for current availability and pricing data, so you’ll never have to deal with another rejected BOM again. Parts management is a key component of every design process, and you need a way to efficiently protect the integrity of your libraries while being able to focus on your electronic designs. The CIIVA SMARTPARTS® Management system automates all the time-consuming tasks of your part management process, so you can focus on what matters most to you. Accurately control part changes throughout the entire lifetime of your product with a centrally managed BOM solution. 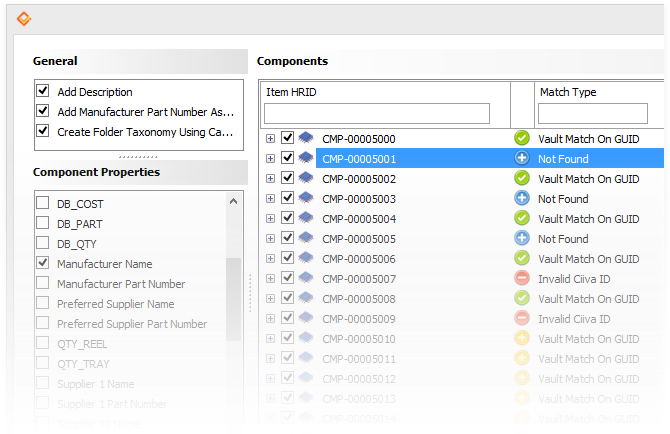 Easily optimize current and future part choices during your production process with historical usage statistics from previous projects. Save time on your data and parts management process with our professional services. Let us keep your component libraries organized and updated with a virtual CAD librarian, or enlist one of our cleanup experts to organize and standardize your component libraries. Enter your email and password below to create your free Ciiva account. Enter your name below to finish setting up your free Ciiva account. Thanks for setting up your free Ciiva account!